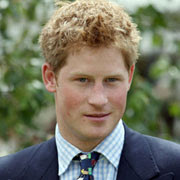 New York City will be welcoming Prince Harry tomorrow in his first official visit to the United States. His visit will last only until Saturday, 30 May, and his schedule is packed. He will visit the World Trade Center site tomorrow, play in a polo match on Saturday to raise funds for his Lesotho charity, Sentebale. He will also name Hanover Square's British Memorial Garden to commemorate British victims of the 9-11 attacks. He will be meeting with wounded veterans at Manhattan's VA Medical Center. A Big Apple Welcome to His Royal Highness Prince Henry Charles Albert David of Wales!